Hi and it's time for a character update, Salk and Kett from Augo! These are one of the first character we actually see in the WL manga and are so far just shown in the Prologue part of Chapter 1. These guys are Zakaria's helpers during his earlier missions days outside Augo. Salk and Kett are have become older guys since that time and serves as private guards for The Chief now. 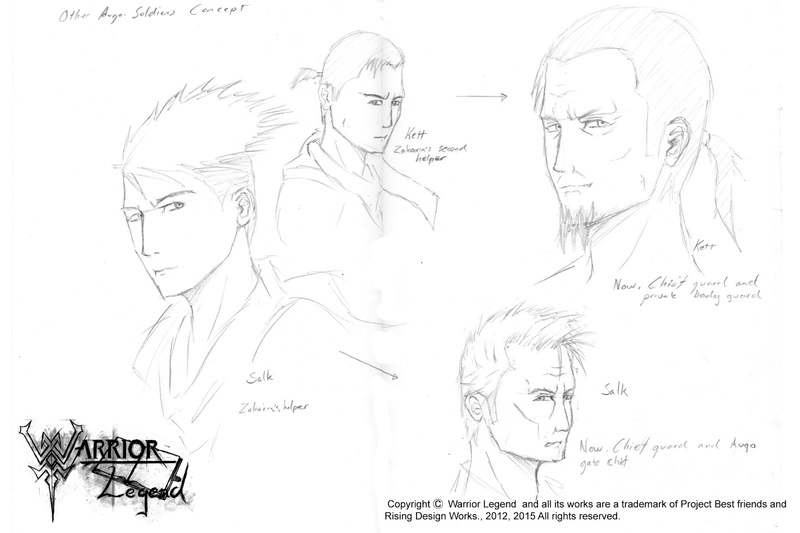 Click the concept art below to check them out! Update: Chapter II is in full progress these days, going for release sometime in March, more details later on. "Young versions on the left and now time versions on right"